Well, it’s official. The Scottish have always had a reputation for being welcoming and now a Cambridge University study has labelled us the friendliest people in Britain! So with stunning scenery, amazing wildlife, delicious food and drink, activities galore and the best welcome in Britain – what better place to come for a break? Of course you’ll need somewhere fabulous to stay while you’re here and that’s where we come in with our collection of beautiful cottages of all shapes and sizes. We’ve spent years searching the length and breadth of Scotland for the best holiday cottages, most of which are exclusive to us. 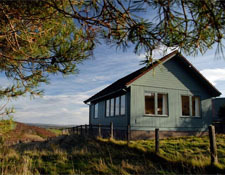 You will find one of our lovely ‘cottages-for-two’ tucked amongst the hills of Strathspey, less than an hour’s drive from Inverness airport. Corglass Cottage is a delightful Highland hideaway with stunning uninterrupted views from large picture windows in every room. You can even enjoy a magnificent panorama of the Glenarder valley from the bath. 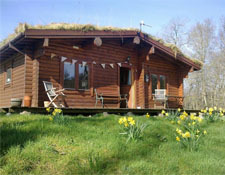 If you fancy hiding out in a log cabin in the woods, then Killiecrankie Lodge, set deep in the Perthshire countryside could be perfect for you. It has a picturesque garden stream, decking and an enclosed garden. With a location close to the pretty town of Pitlochry, there are lots of activities for families or couples to enjoy. 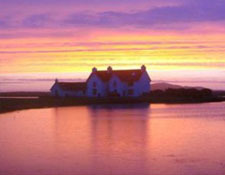 Or how about this stunning property on the shores of one of the most photographed lochs in Scotland? 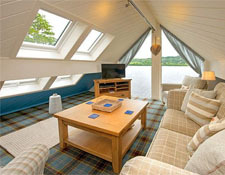 Achnacarran Boathouse on Loch Awe in Argyll is architect-designed, expertly furnished and has a private pier, slipway and fishing rights. The house has views to die for particularly from the upstairs sitting room, and there is an abundance of wildlife nearby including deer, pine martin, red squirrel, otters, barn owls and osprey so you can experience Scotland’s outdoors in all its glory. We have hundreds of beautiful properties to choose from and add new properties to our portfolio on a regular basis, so why not follow us on Twitter, like us on Facebook or sign-up to our e-newsletter to make sure you receive all the latest news and suggestions on where to take your next break. Our cottages have rolled out their welcome mats and are ready to give visitors Scotland’s famous warm welcome, so all you need to do is visit our website or give us a call on 01835 822227 to start your search for the perfect cottage and perfect holiday.